In 2006, Gert Abel and Tom Abel established the Clif Abel Fund to pay tribute to their late husband and father respectively. The Clif Abel Fund provides the means for the Abel family and their volunteers to take families from the Ministry’s Child Care Center and Guardian Angel Child Care on a shopping spree to purchase household goods as the family moves to a permanent residence. The Clif Abel Fund also contributes regularly to the Scholarship Fund for Graduates of Guardian Angel Child Care Program. To donate to this fund, visit our donations page, and click on “Other” in the “Select a Designation” list, then type “Clif Abel Fund” in the space below. Gert Abel established, with her son Tom Abel, the Clif Abel Fund. 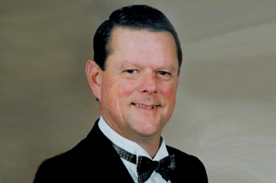 Clif Abel was an executive at the former MBNA Bank in Delaware and a generous benefactor to the Ministry of Caring. The Ministry of Caring Scholarship Fund helps finance the grade school tuition of children who graduate from the Guardian Angel Child Care Program. The Fund requires each child to come from a family of modest means. Parents, moreover, are expected to contribute a portion of their child’s educational expenses. All children on scholarship have consistently met the expectations of the schools that they attend. Charles M. Cawley, president and CEO of the former MBNA Bank, established the Scholarship Fund in 2000. In 2008, Gert Abel and Tom Abel began contributing additional monies regularly to the Scholarship Fund through the Clif Abel Fund. The Dolores Alfano Fund, established to honor a beloved benefactor and fundraiser who passed away in 2009, also gives to the Scholarship Fund. To donate to this fund, visit our donations page, and click on “Other” in the “Select a Designation” list, then type “Scholarship Fund for Graduates” in the space below. 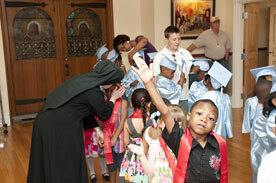 Graduates of Guardian Angel Child Care benefit from the Ministry of Caring Scholarship Fund. From the very beginning of the Ministry of Caring, Sister Ann Marguerite Gildea, OSF, (1919-2005), touched the lives and hearts of benefactors, volunteers, staff and thousands of Delaware’s poorest women, men and children with her gentle yet powerful presence. An Irish immigrant who joined the Sisters of St. Francis of Philadelphia, Sister Ann, at age 59, found the call to assist Brother Ronald’s new ministry for Delaware’s poor irresistible. In 1977, after a 40-year career in education, social services and parish ministry, she began a new one serving and living with homeless women in the emergency shelter that she helped found, Mary Mother of Hope House I. Sister Ann later became the first director at Hope House II, an emergency shelter for women and children. Additionally, she opened Hope House Transitional Residence for homeless women. Sister Ann was a frequent visitor to Delaware’s Legislative Hall, where she advocated tirelessly for the poor. She also helped found the Guild, the volunteer fundraising arm of the Ministry of Caring, and played a larger-than-life role in other administrative functions such as fundraising and public relations. In 2002, Sister moved to a retirement facility for the Sisters of St. Francis in Aston, Pennsylvania, where she passed away in 2005 at age 85. 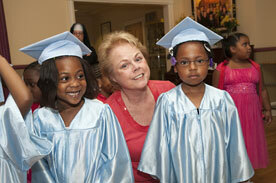 Women and children are beneficiaries of the Sister Ann Marguerite Gildea Fund. To donate to this fund, visit our donations page, and click on “Other” in the “Select a Designation” list, then type “Sister Ann Marguerite Gildea Fund” in the space below. 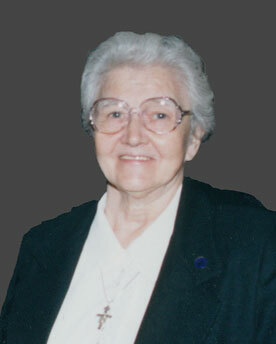 Sister Ann Marguerite Gildea, OSF, served homeless women in Ministry of Caring shelters from 1977 to 2002. Some families, upon the passing of a loved one, request that memorial donations be sent to the Ministry of Caring in lieu of flowers. This provides an opportunity for the family to help the poor and homeless though gifts in memory of the deceased. For information, call 302-652-5523 or email Priscilla Rakestraw.